I come from a family so (Euro)diverse that it’s probably best that I just check “American” for ancestry on my census form. There’s a fair amount of Italian, Danish and Irish, plus sprinkles of English, Welsh and who knows what else thrown in the mix. But you’ll generally hear me refer to myself as a Dane, in part because of my last name, and in part because my grandfather has put some effort, in his life, to ensure pride in his ancestral home. A few years ago, my father and I were visiting my granddad in St. Paul, and one of the highlights of the trip was stopping at Jensen’s Supper Club in suburban Eagan. It was memorable for a few reasons, the least of which was granddad trying to buy a round of Brandy Alexander for the whole bar, but it was also my first exposure to frikadeller, a veal-and-pork meatball and Denmark’s national dish. I’ll be honest – neither my dad and I were too sold on the frikadeller. I generally avoid eating cow meat, and this was made with veal. 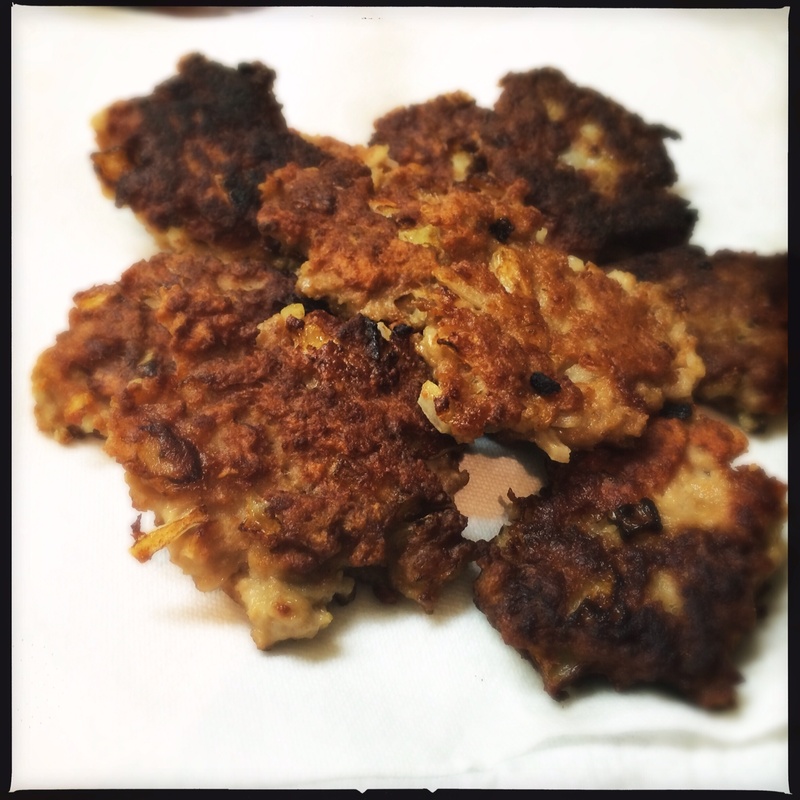 The funny name lent itself to jokes about how frikadeller’d up we felt after eating them. Ris a l’amande with a glass of Australian semillion. But it wouldn’t be Christmas without Danish food, so I tried, again, to enjoy frikadeller – with some changes to make the little Danish meatballs a little more palatable. To wrap up the meal, I prepared ris a l’amande, Danish rice pudding. I varied these recipes a bit from examples I found on Denmark.DK, Awake at the Whisk and AllRecipes. 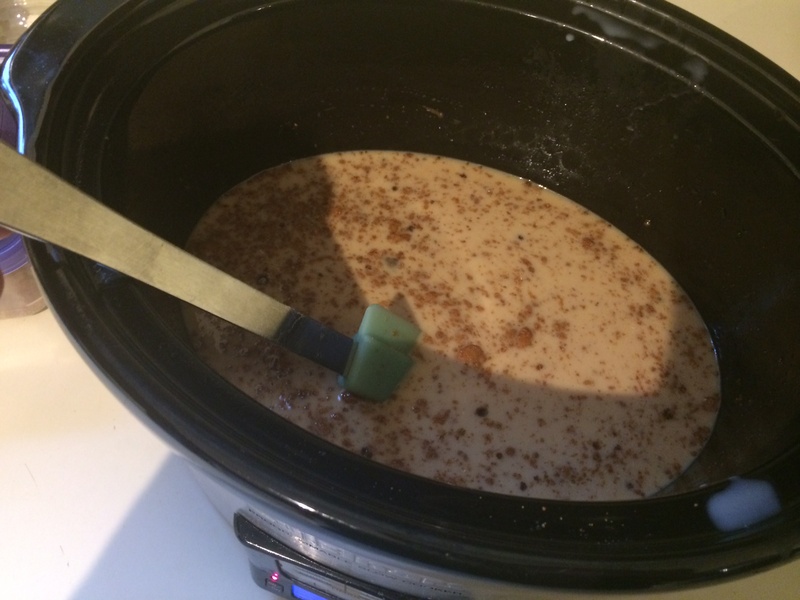 Mix rice, sugar (I use coconut sugar) and milk in the slow cooker. Put the rice pudding on high (212°) for 3 hours +. Rinse rice. Put in slow cooker. Add milk, 1/2 c sugar, cardamom and salt. Stir. Put butter on top. 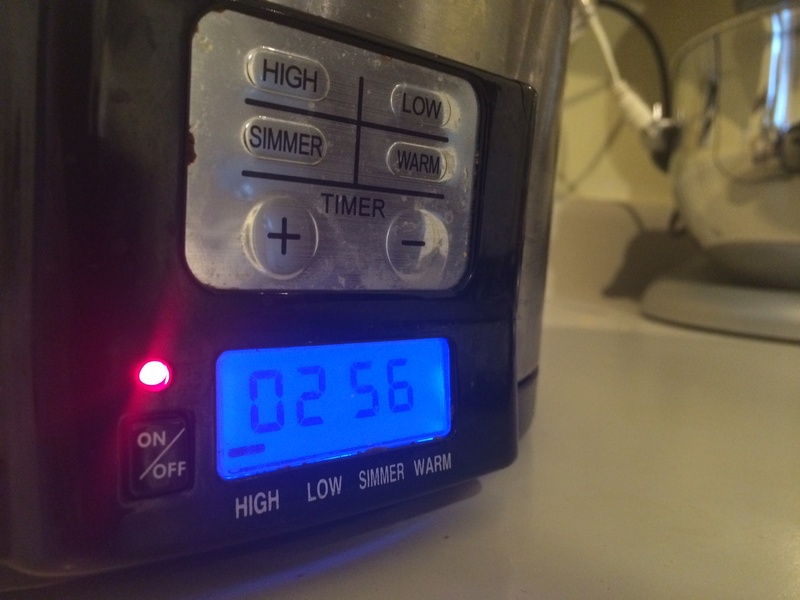 Cover and cook on high (212°F) for 2 1/2 – 3 hours, or until thick. Stir almonds, sugar and vanilla into rice pudding. Flavor to taste with sweet sherry or port. Whip the cream and fold it into the rice pudding. Serve with cherry or lingonberry sauce. Add a touch of sugar and vanilla extract for the cream, then whip using a hand blender. 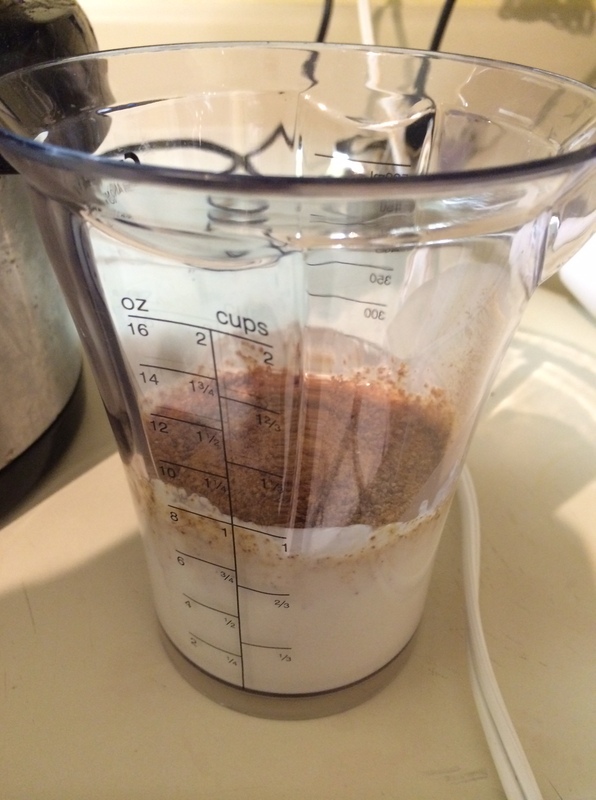 For the cream, I added a touch of coconut sugar and vanilla extract before mixing with the hand blender. 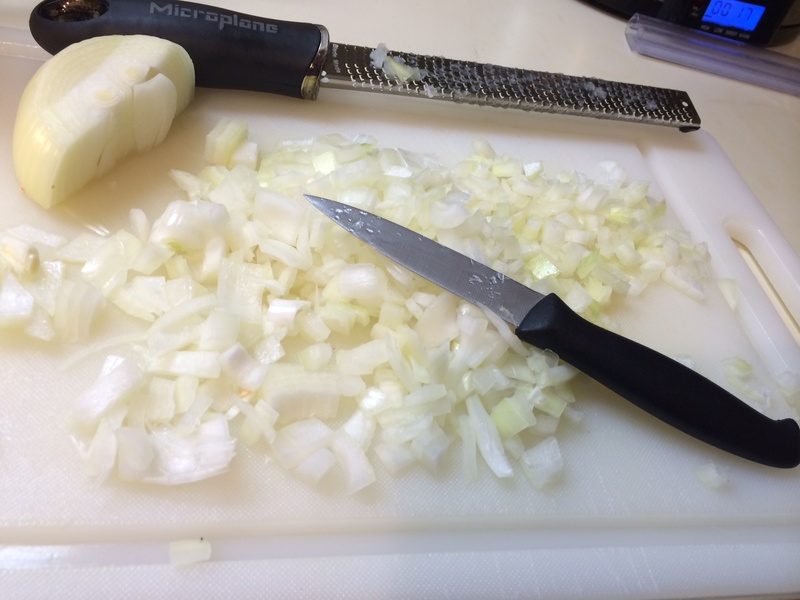 Chop the onion as fine as you are willing to – the microplane did not work very effectively. 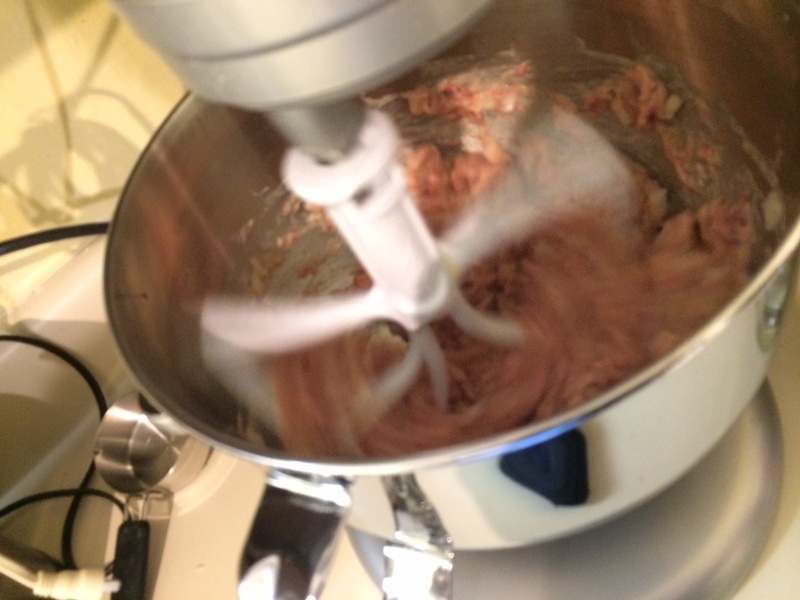 Mix the meats by hand, or cheat and use a mixer. Grate the onion on a microplane or other fine grinder. Combine with milk and egg. Mix the meats, then stir in the milk/onion mixture. Add the bread crumbs. 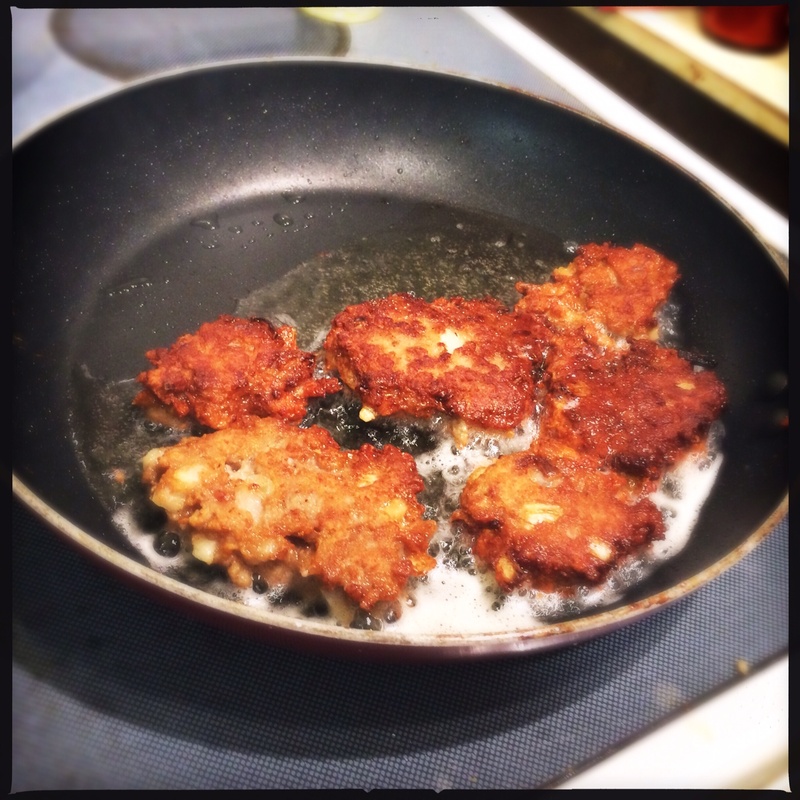 Fry the frikadeller until cooked through. Add the flour, and knead well. Season to taste. Add water to ensure proper moisture. Fry on each side until cooked through. I served the frikadeller with Yukon potato wedges fried in coconut oil. When I served it, my partner noted that we basically were eating burgers and fries for dinner – to which I A) had no argument and B) realized we had great leftovers for the rest of the week. The meal wouldn’t have been complete without some grog, in this case some Krogstad Festlig Aquavit from Portland’s House Spirits Distillery. The Aquavit was served at freezing and sipped. With the Ris A L’Amande, I served a glass of Barossa Valley semillon botrytis as a sweet complement to the dessert. 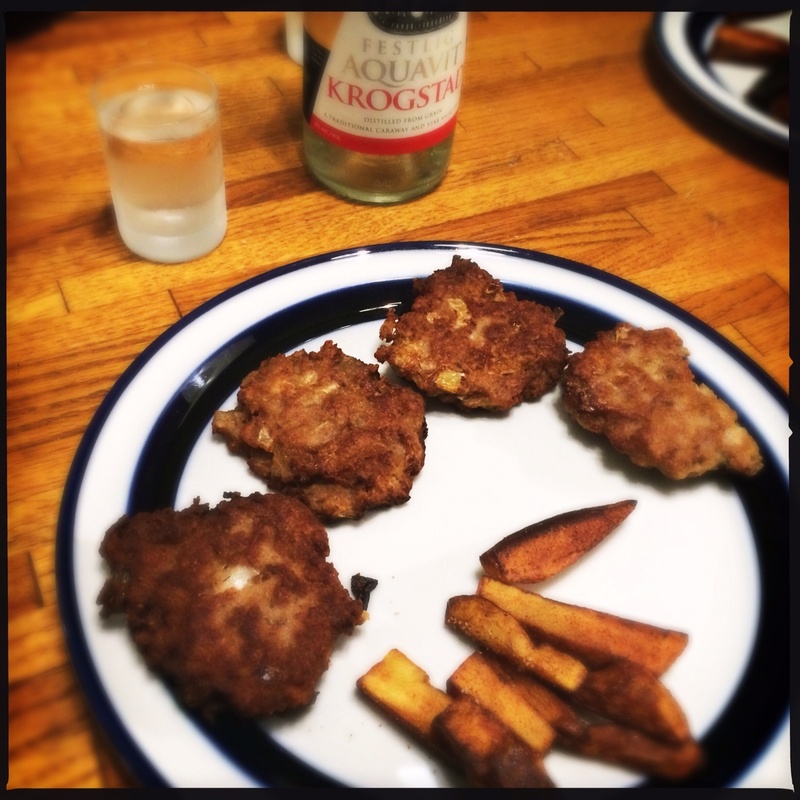 Frikadeller with potato wedges and aquavit. Probably should have made the meatballs look a little bit more like meatballs, and maybe add a touch of spicing to the mix. 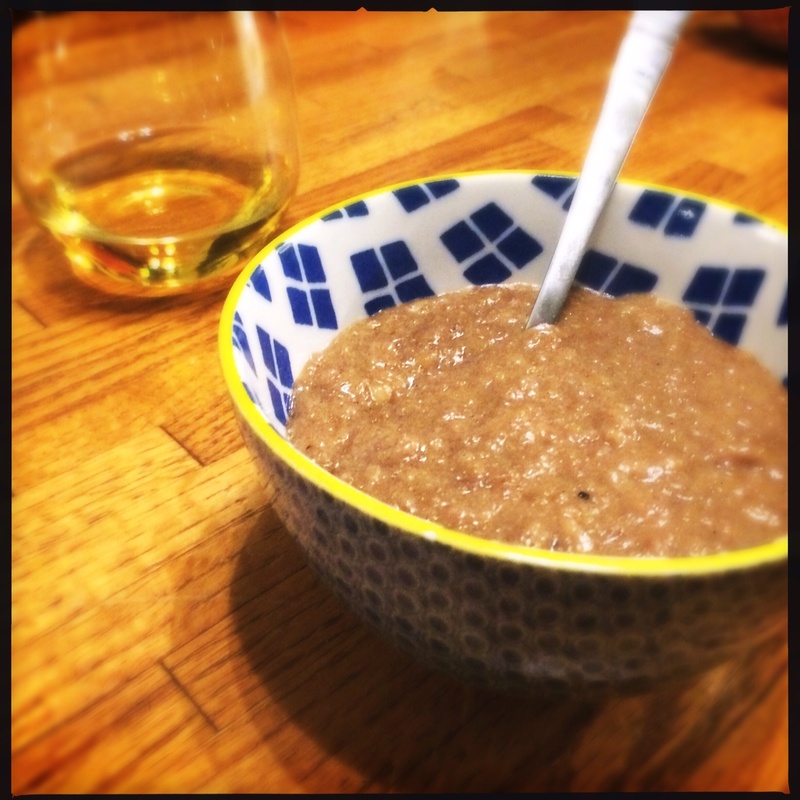 I’d be curious how the rice pudding would be different with sherry instead of port. For another time! Merry Christmas, readers. Still working on acquiring conch meat for Project Bahamas… and figuring out how to tackle the upland/lowland cultures of our next country, Ecuador!